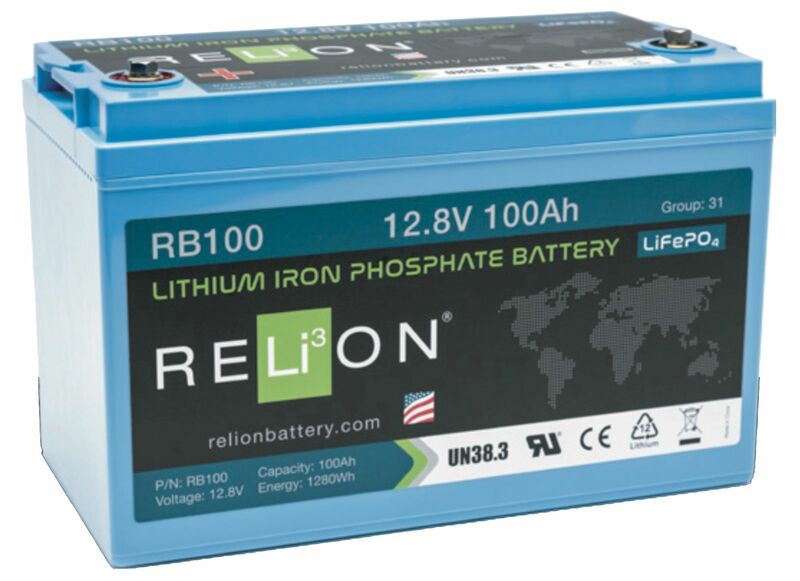 Faster Recharging: Charging your marine battery is easier and more efficient when you choose lithium technology. 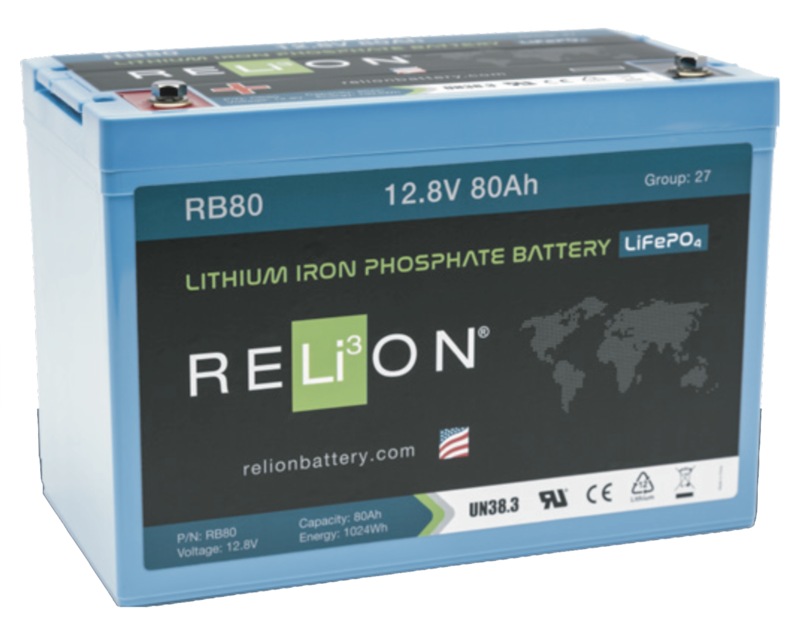 Because lithium marine batteries only have two charging stages - as opposed to lead acid marine deep-cycle batteries three-stage charing - RELiON batteries charge in a fraction of the time. 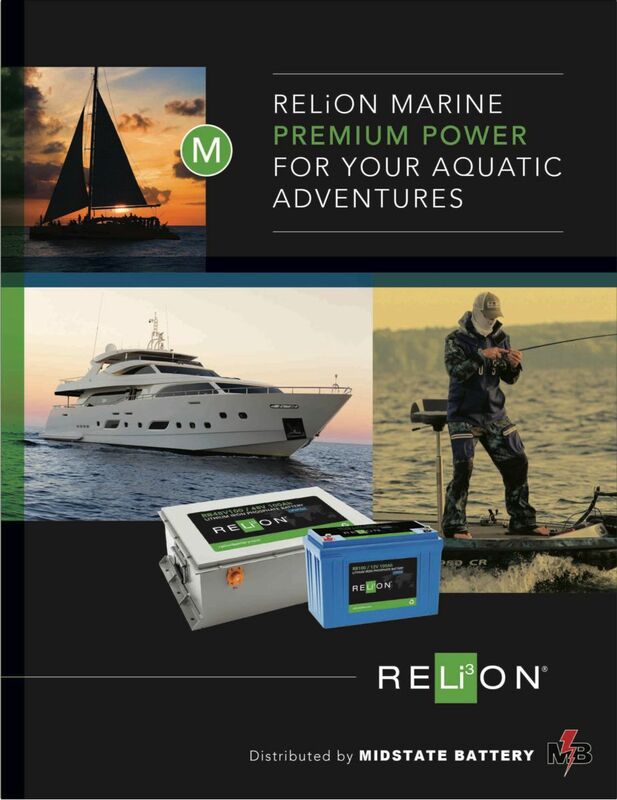 This means you’ll be able to get back on the water faster and spend less time waiting for a full battery indication. 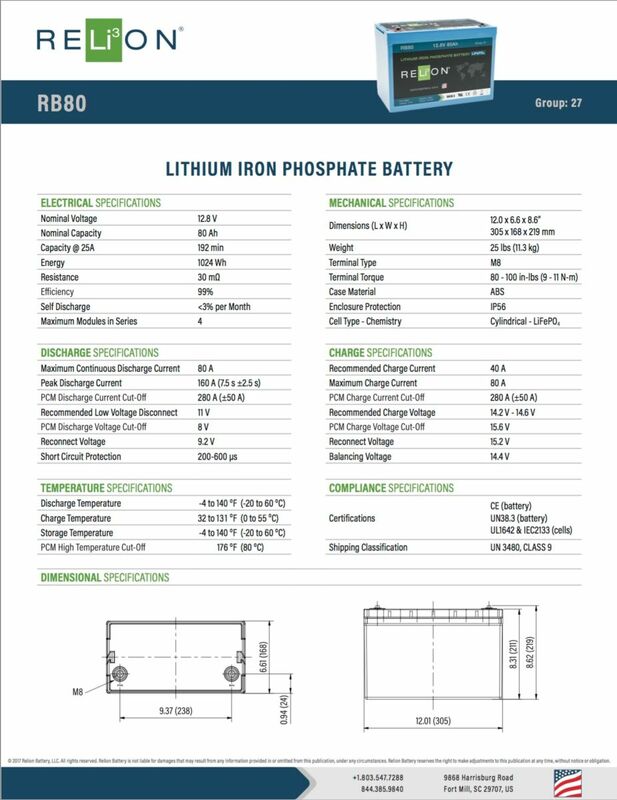 Lighter Weight: Lithium marine batteries are one-third of the weight of lead acid alternatives, which makes a major difference in your boat’s top speed, fuel efficiency, and draft. 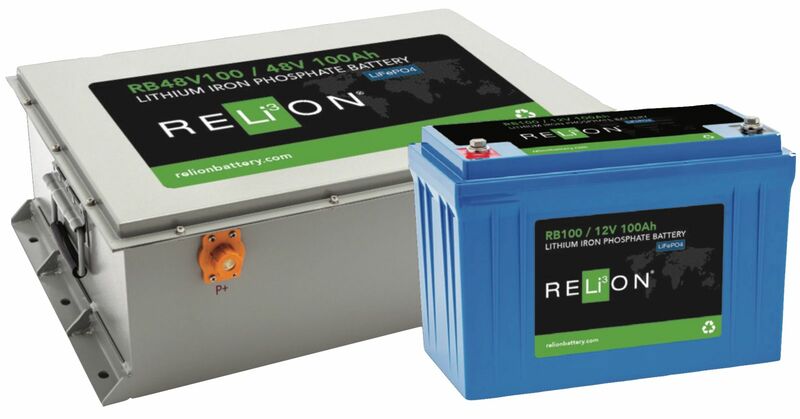 Long Life Span: RELiON batteries last 10x longer than a lead acid battery, cycling 5,000 times at 100% DOD compared to a typical lead acid battery that cycles 500 times at 80% DOD. 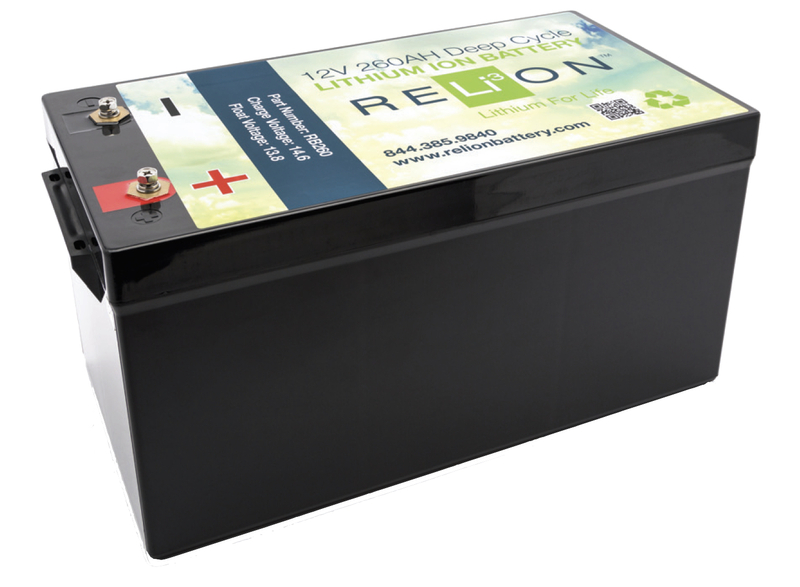 Lithium marine batteries often outlast the boat they’re installed in. 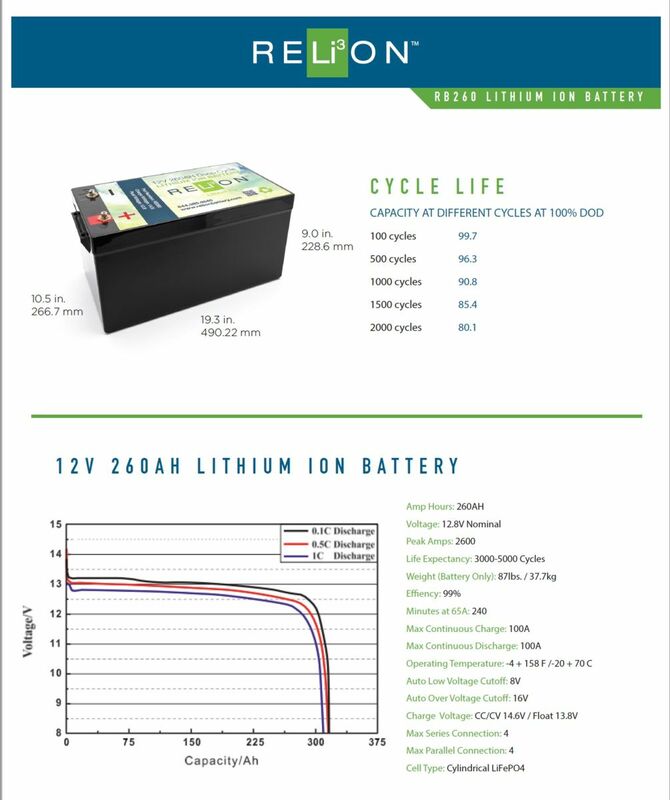 Consistent Power: Because LiFePO4 batteries have a higher voltage output than lead acid alternatives, they maintain a consistent delivery of power throughout discharge. Lithium marine batteries also offer a higher usable capacity, meaning you get more hours of use between charging. 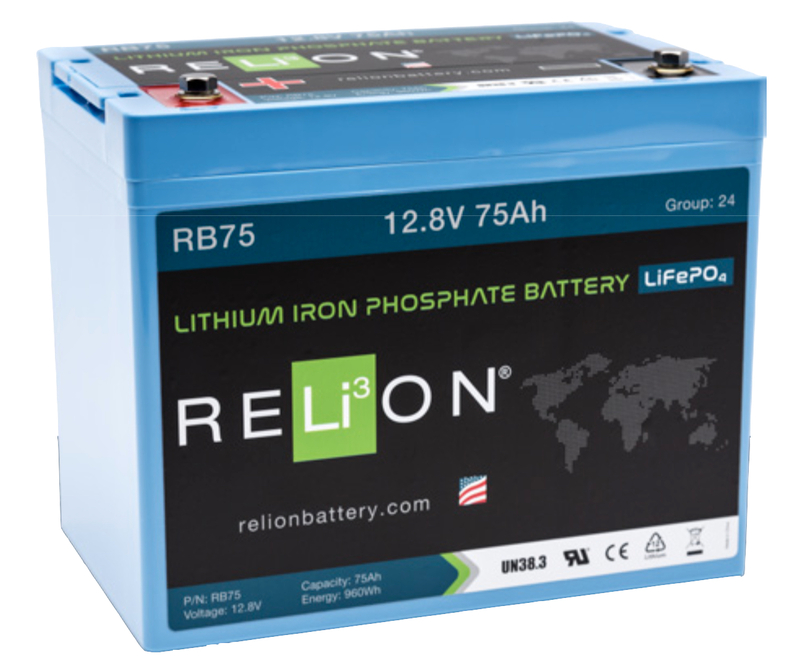 Safety: RELiON lithium battery LiFePO4 cell design includes various safeguards including high temp thermal fuse, flame retardant additive and pressure relief valves. 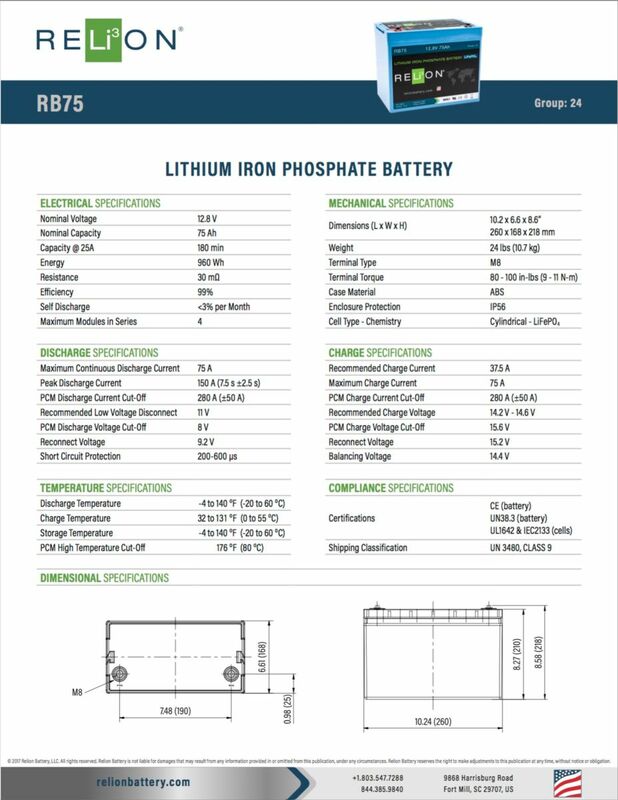 10.2" x 6.7" x 8.6"
12.1" x 6.8" x 8.7"
13" x 6.8" x 9"
19.3" x 10.5" x 9"
Built to last, designed to perform, premium RELiON lithium batteries deliver unsurpassed performance on the water.